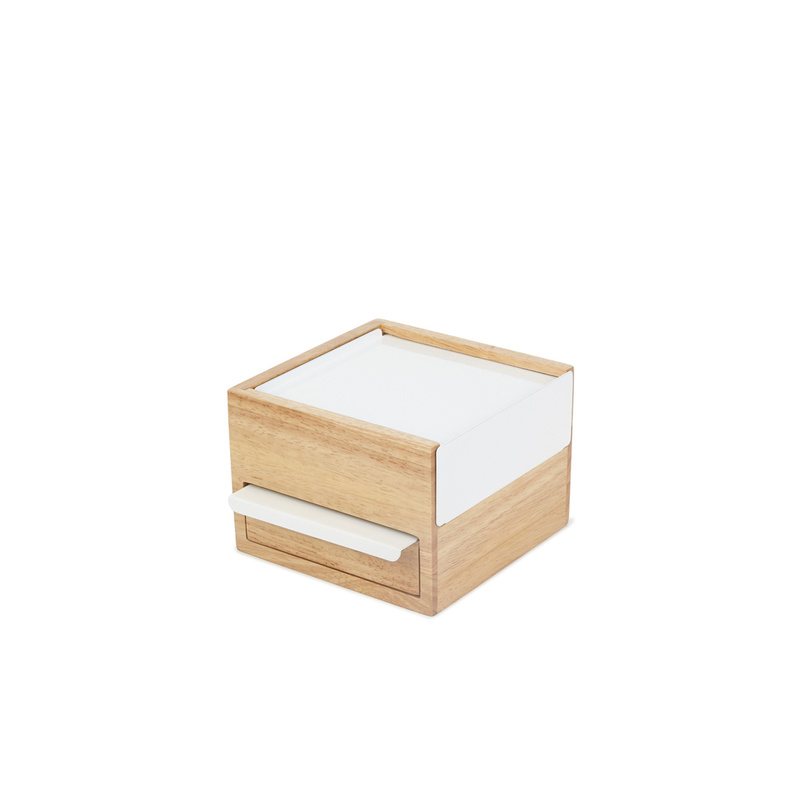 The Mini Stowit jewellery case: it may look like a simple box but it's really a unique piece! The Mini Stowit jewellery case is an item created by Umbra, a Canadian brand which, while being quite young, has already managed to build an important international reputation thanks to the great stylistic boldness of its proposals. When closed this jewellery case looks like a simple box – it’s once you open it that the fun begins!. This jewellery case is a real masterpiece of geometry, offering an unusual and engaging interlacing of boxes with sliding drawers that make this jewellery case a really special item, seemingly defying every law of geometry. But it’s not only the structure of the Mini Stowit jewellery case that makes this piece unique – the quality materials do so too. 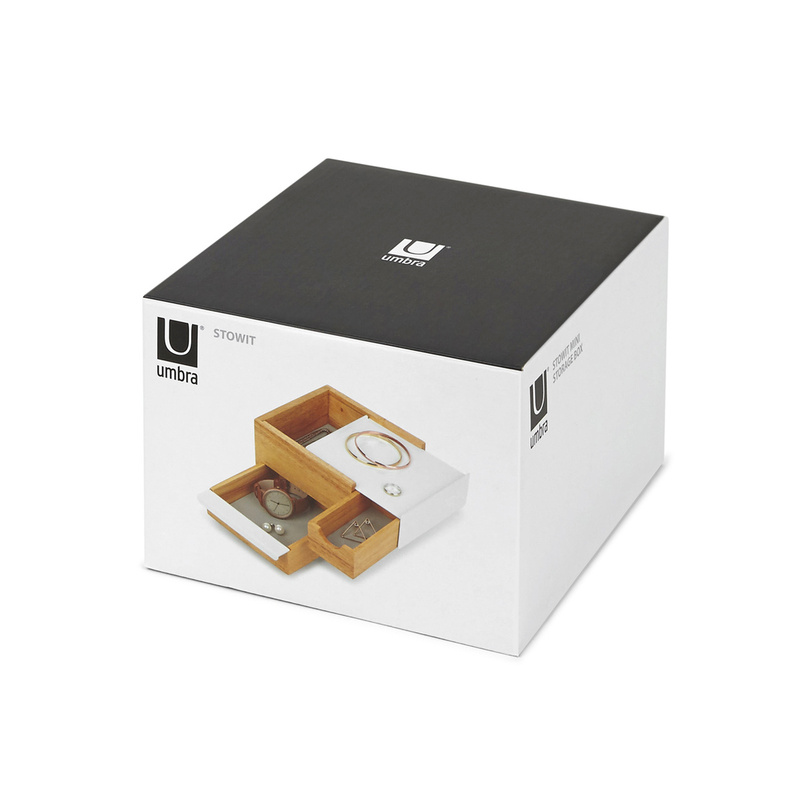 This jewellery case by Umbra is in fact made in a mix of wood and metal, materials that are known for their quality and which are also very interesting from a chromatic point of view, blending the bright metal grey with the natural colour and veining of wood. The Mini Stowit jewellery case is perfect to place in a bedroom, on a bedside table or in front of a mirror so you can choose your jewellery in a practical and functional way. 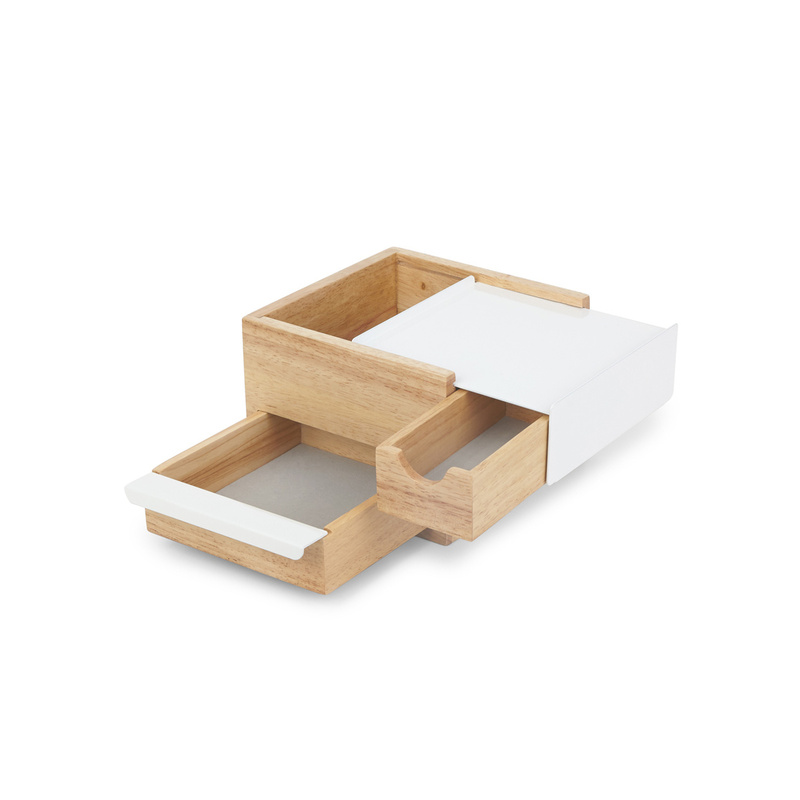 Of course, this item can also be used as a container for a wide variety of objects, a clear example of its versatility. Last but not least, the Mini Stowit jewellery case can be a very interesting idea for a gift, an item that may be simple and undemanding but also extraordinary for its originality and remarkable quality. Born in Seoul, Korea, Sung Wook discovered from a young age a desire to construct things and work with his hands. He went on to graduate at the top of the Industrial Design Program at Ontario College of Art and Design (OCAD) University and win first prize in Driving Design, a Canadian student design competition put on by Umbra and Audi. His passion for creating and building follows him even outside of work, where he loves working with Lego® and other modular building sets. 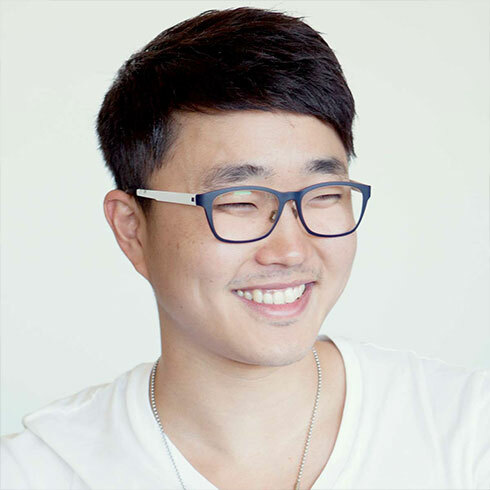 At Umbra, Sung Wook is striving to create unique impressions through his designs; delving into infinite possibilities and redesigning common products, with the goal of helping people find excitement in everyday life.